Is Google Trying to Invade Your Privacy? Google recently made a huge announcement that it planned to purchase Nest Labs, the maker of innovative Internet-connected devices for the home that are controlled with a smartphone. The mega-company plans to pay $3.2 billion for Nest—a pretty hefty sum for a company that seems to deal in an industry (home improvement) totally unrelated to Google. This is precisely why people have been wondering just why Google is planning such an acquisition. TIME wrote an article, “The Real Reason Google Paid $3.2 Billion For Nest,” explaining the main reason behind Google’s endeavors—and it comes as no surprise that it has to do with getting more money from consumers. Have you seen the AT&T commercial where a brother and sister arrive at their parents’ cabin? They tell their parents they had to stop by the house for some things, prompting the father to use his AT&T Digital Life Home Security & Automation app on his phone to turn off all the appliances he knows his children left on. He even remotely locks the door with his phone. The whole Nest Labs-Google concept is similar to that. Nest Labs produces high-tech smoke alarms and thermostats. For example, their high-end thermostat, “…is designed to learn how inhabitants like their homes to be heated and cooled. Once it learns the consumers’ preferences, it automatically adjusts the temperature on its own,” a CBS article explained. But how does this relate to Google getting more of your money? Well, as the TIME article explains, the idea is to create smart homes or connected homes where all the appliances and devices in a person’s house are connected to the Internet. We’re talking from your oven to your lights. As companies, like Google, create these smart homes systems (with the company being the center, of course) they will be able to learn more and more about the homes’ residents, i.e. you and your family and friends. And if Google and other companies can learn more about your habits, likes, dislikes, what time you go to bed, what you watch on TV each night, etc., they can produce one crucial component of their revenue—advertising. Internet companies like Google are trying to learn as much as they can about consumers to better target them with advertising. Knowing what people do at home—whether they cook a lot or when they leave for their job—could add a new dimension to personalized ads beyond what can be learned from their use of desktop computers and smartphones. So, we’re saying that one day Google could possibly gather all kinds of information about the way you live and act in your personal space—your home—and use it to create advertising specific to your habits, and then ultimately make more money off you? It doesn’t sound right, does it? Is Google attempting to cross the line of privacy when it comes to your dwelling space? There’s always been a huge debate about what is private and public on the internet, and adding a private setting (your home) to a public space (the Internet) only muddies the waters. How would you, as a consumer, feel knowing that a sort of “Big Brother” is lurking behind your appliances and devices? 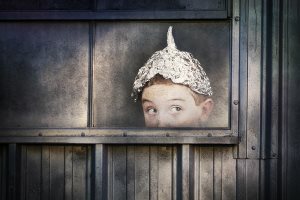 That someone (or something) is constantly monitoring your personal activities to create even more advertising to cloud your mind day in and day out? It’s already annoying enough that you can’t Google anything without related ads popping up on the side of your screen for the next few weeks. Like my goodness; you Google search flights to Japan one day and now you have to see this “special” advertising everywhere you go online. But imagine that for something you did at home. Let’s say you watched an infomercial for Nutrisystem before going to work. Then, on your morning commute, you saw smart billboards talking about the product, and while at work all the online ads displayed were about Nutrisystem as well. (This is a futuristic, hypothetical statement, of course). Wouldn’t that be creepy? That may be exactly what Google wants to do. Or perhaps TIME, CBS and a plethora of other news sources are speculating for no reason. Could it be that Google really is trying to invade your privacy, or is this just another acquisition and nothing more?